As simple as it can be but no simpler. 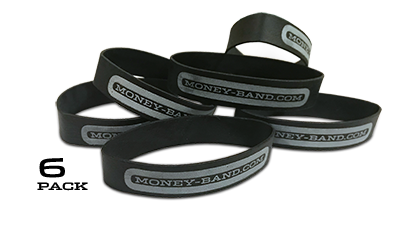 Money-band is not a typical rubber band. Custom manufactured to exact size and specifications and not anything you can find at your Office Supply stores. Unique – you won't see these anywhere else. Designed to hold cash and several cards. The right give and grip. No other material works as well. If you find a simpler wallet, please let us now. Custom made by in small batches. Keep your cards and cash safe in your front pocket. 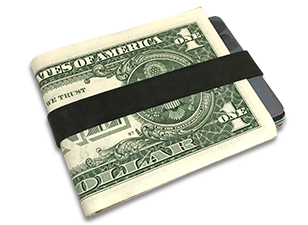 What’s so special about MONEY-BAND vs. a “regular” rubber band? The obvious answer is size. The diameter, width and thickness are different. 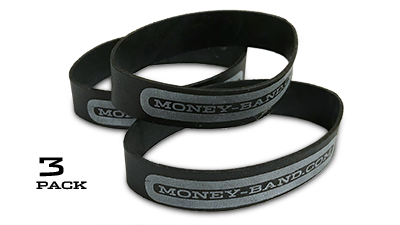 Money-bands are custom manufactured to a special diameter and width that’s ideal for keeping your cards and cash tight. Regular (office supply) variety rubber bands are too big to hold your cash and cards securely once around. And when they’re doubled-up, regular rubber bands aren’t flexible and don’t handle easily enough for daily use. 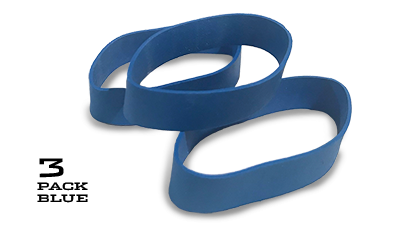 Our bands are made with only the highest quality rubber band you can make and cut to precise sizes. What payment types do you except? We use Stripe to process our transactions. And accept VISA (credit and debit cards), MasterCard (credit and debit cards), American Express and Discover (US only) . How long do orders typically take to arrive? Orders within the U.S. should be received in about 7-10 business days unless otherwise noted. (Orders outside the U.S. should be delivered in about 10-14 days.) All orders are processed within a few days, then shipped First-Class mail via U.S. Postal Service from New York state. In order to keep shipping costs in check, we do not provide expedited or tracking options. If you have not received your order after 10 business days, please let us know. We process all our orders quickly and have had a 99.97% success rate with First-Class mail fulfilling our orders. Make sure your address is correct. High majority of shipping issues result from an incorrect address. Please double check your address before placing your order. If you have questions about why the USPS takes the time they do to deliver mail, please contact your carrier. Do you ship to countries outside the United States? Yes, orders within the U.S. should be received in about 7-14 business days unless otherwise noted. We’ve successfully sent money-band orders to 55 countries: Argentina, Australia, Austria, Azerbaijan, Bahrain, Belgium, Brazil, Canada, Chile, China, Colombia, Croatia, Cyprus, Denmark, Estonia, Finland, France, French Polynesia, Germany, Greece, Guam, Hong Kong, Hungary, Iceland, Ireland, India, Indonesia, Israel, Italy, Japan, Latvia, Lithuania, Luxembourg, Malaysia, Mexico, Netherlands, New Zealand, Norway, Philippines, Poland, Portugal, Puerto Rico, Romania, Russia, Saipan, Singapore, Slovakia, South Africa, Spain, Sweden, Switzerland, Thailand, Turkey, United Kingdom, United Arab Emirates. Thanks! What’s wrong with my current George Constanza wallet? Guys who have switched said leather wallets are too bulky and can, worst case, cause some chiropractic issues. If you’re like us, you’re just looking to keep things simple. 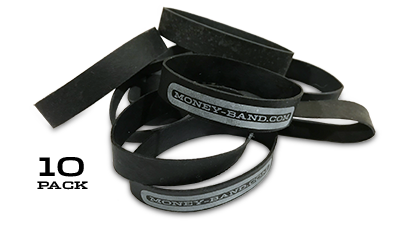 MONEY-BAND is the simplest way to go. Allows you to keep your wallet in your front pocket, which has security advantages. We’ve heard from many cyclists, climbers, runners, travelers, et al that prefer to pack the bare essentials (e.g. a card and some cash) and leave their whole wallet or purse at home. Do you have any other colors? Short answer is no. In the future, we will offer more than just one color. For larger orders (500 and greater) we can manufacture your own batch (including color, and graphics). For more custom MONEY-BAND information, contact us (see form below). 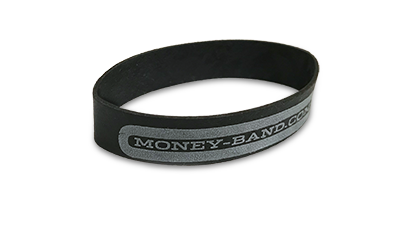 What if I don’t like money-band after I give it a try? If you try to make the switch to MONEY-BAND and just can’t get behind it, email us and we can arrange to refund your money. © 2018 All Rights Reserved. Some Simple Products.